Could you briefly give us a summary of your business performance up till now this fiscal? Tata Hitachi has been growing ahead of the industry pace. With orders from corporates/mining companies which are under execution during this fiscal, we have the largest range of excavators in India which are used in a wide variety of applications. Our mining excavators are sold in almost all mining mineral available. As you must be aware, almost all the metals and minerals have registered a growth in production during this fiscal and this has a direct correlation with our growth of mining machines wherein we also saw growth of the equipment sales. Tell us about the recent trend waving in the mining equipment industry? Do you notice any changes or product specific preferences among your customer base? Technology has been at the fore front across the industries and the mining and equipment industry has followed the same trend. Customers have started looking for optimizing mining operations or improving mine efficiencies. This has led to a new trend where customers are looking for solutions like fleet management systems which coordinate between the shovels and dumpers - enhancing the utilization of both, vehicle health monitoring systems, etc. Moreover customers are also looking for upsizing of equipment to reduce cost of operations. Briefly could you please throw some light upon your manufacturing units and on the new tech-upgrades in your equipment ranges? 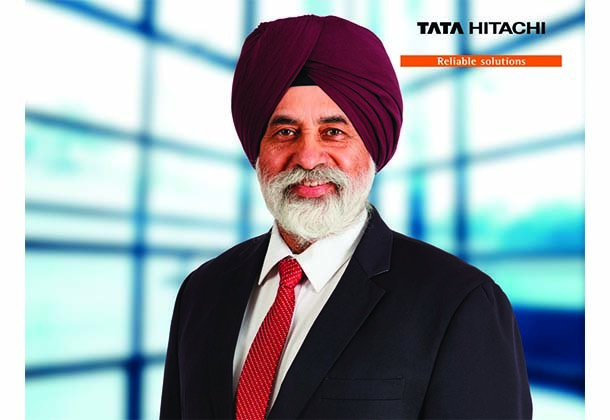 Tata Hitachi has three manufacturing units spread across the country. They are at Jamshedpur, Jharkhand, Dharwad Karnataka and Kharagpur, West Bengal. Our manufacturing range includes 2-100T excavators. The 100T class excavator model EX1200V is the largest excavator made by Tata Hitachi in India. Tata Hitachi is manufacturing the GI series of excavators in India which are enabled with ‘ConSite’ a feature which enables users to see the equipment performance on real-time basis and also enables to access historic data to help analyze quipment parameters. Hitachi Construction Machinery has been at the forefront for development of new technologies in mining equipment like Autonomous Haulage Systems on dump trucks – which has been successfully developed. Dump trucks (EH3500AC-3, EH4000AC-3, EH5000AC-3) are fitted with proven Hitachi IGBT – AC drives which can also be converted to a trolley option. We had announced the introduction of -7 series in excavators on EX1200-7, EX2600-7, EX3600-7, EX8000-7 for the global market which is another step to introduce technology to the global market. This machine has been specifically designed with options of Tier IV engines. The excavators are fitted with WIU (WiFi Interface Units) enabling the data download from the equipment from 50 m away of the equipment. Introduction of ‘Arial Angle’ to identify the blind spot in equipment to avoid accidents etc. are the major technological enhancements in our offering. Where do you see the industry heading towards in the near future and what would be your key strategies in this path? India’s mining industry is on its recovery path after the recent downturn. Coal being the major driver of this growth trajectory is now showing signs of improvement after Coal India announcing aggressive production targets. Various actions taken by the Coal Ministry like addition of new rail lines, introducing wagons in coal mining areas have ensured smooth dispatches. Metallic minerals like Iron ore after the revised guidelines issued by Supreme Court have registered increase in production and dispatches. The recent strategic buyouts by Cement majors like Ultra Tech Cements, Holcim etc. in the Cement sector is itself an indicator of adding capacity with an intent to address the increase in demand. The growth in various sectors is expected to accelerate in the years ahead. This will drive the demand of heavy earthmoving equipment strongly. With Hitachi Construction Machinery, Tata Hitachi is showcasing the strength of the parent company Hitachi.